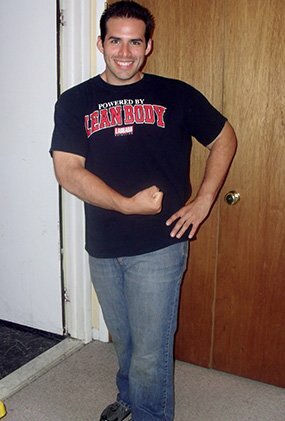 Body Transformation: 170 Pounds Of Freedom! At age seven, I had to hem 36-inch pants to my height because of my size. My family never knew about proper eating or exercise, but I thank my parents because they worked themselves to the bone to make sure food was on the table. For that, I'm grateful. 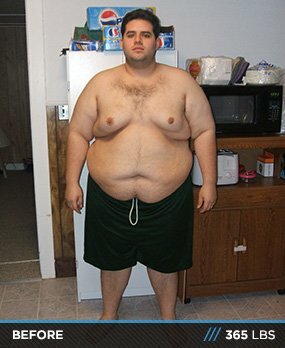 At age 18, I weighed 300 pounds and was twice the size of most people my age. On the inside, I wanted to be athletic, but never fully committed to make lasting changes. I always had a passing interest in fitness and bodybuilding, but never took action because it was easier to eat unhealthy. 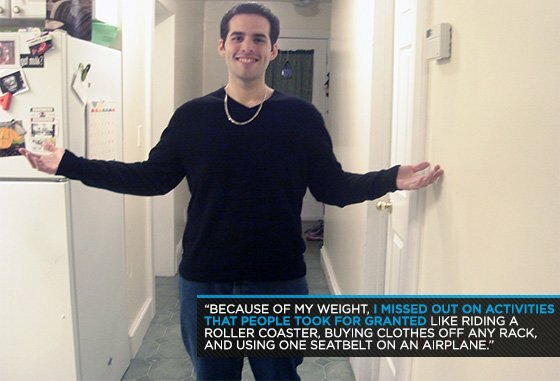 Because of my weight, I was missed out on activities that people took for granted like riding a roller coaster, buying clothes off any rack, and using one seatbelt on an airplane. I was so ashamed of myself and the damage I did to my body that I became withdrawn and reclusive. I hardly left my house except to go to school or the grocery store and never socialized. I was digging myself into an early grave and was doing nothing about it. It's important to note that I always desired a better life for myself, but unfortunate accidents made my parents disabled and our lives dipped into a low point. Depression set in, stress levels rose, and financial worries hung over our heads. Not long after, we received public assistance and our overall quality of life fell to an all-time low. Looking back, I'm convinced that I made a conscious decision to improve my life and provide my future family with security I lost. I wanted a better life for me and my family that started with a big dream and a single thought. With the help of student loans, I attended Johnson & Wales University, a world-class culinary institution, and wanted to open a restaurant after graduation. As a freshman, my school uniforms were special ordered because extended sizes weren't carried in stock. An unlimited meal plan and Chinese food delivery was only a phone call away, which made my unhealthy habits worse. My "Freshman 15" was more like a "Freshman 50!" My back and feet were sore after long classes and I became desperate to find a solution for my weight problem. As luck (or fate) would have it, the university work study program placed me at the school gym. It was humiliating to check ID passes at 350-plus pounds. Luckily, I received guidance from the gym regulars who took me under their wing. They taught me about the positive impact associated with a healthy lifestyle to improve my quality of life. My first experience in the gym was walking on a treadmill. After four minutes, I was absolutely exhausted. After that, I became curious about the human body and the roles healthy eating and exercise play in our life. After my sophomore year, I changed my intended major to culinary nutrition, a cutting-edge program that integrates professional cooking techniques with present-day nutrition theory. Between my change in vocation, I met my wife. Since then, she has been my best friend and constant companion. We had two amazing children together whom I can't imagine life without. I'm a very blessed man. I feel I was guided to accomplish a goal so significant to improve my life and those who depend on me. I could only do it by the grace of God. Working at the gym made exercise more available, which eliminated my excuses. At first, I didn't have a goal in mind other than to be active. I pledged to exercise for 30 minutes on the treadmill and in the weight room, but my routine wasn't structured and remained scattered for the first few months. By introducing activity into my daily routine, I lost 50 pounds by the end of my freshman year. I was excited to get home for the summer to see people's reactions. My family was surprised at my weight loss and curious as to how I made positive changes. It was amazing how my initial weight loss changed my mental outlook. I had increased positivity, openness to change, desire to learn more, and above all, the will to always move forward. I started to research exercise routines and proper nutrition, which officially started my transition from wanting to open a restaurant to becoming as healthy and athletic as possible while still cooking great tasting foods. I used weight training and cardio to lose weight and saw great improvements in my overall health. I got less winded after climbing flights of stairs and my back aches subsided. As my condition improved, I started using my bodyweight as resistance and experimented with different routines. After graduating from college, I used a visualization method to help speed my results with a more challenging and structured workout routine. This mental technique made my long-term goal to achieve the body I always wanted seem more possible. The problem I kept running into was "seeing" my ideal self with my still very large body reflecting back at me. One night, I looked at myself in the mirror and "trimmed away" the body fat that surrounded me to visualize a more lean and muscular me. I repeated this process each night before bed and each morning as I made progress. It took 18 months to lose 170 pounds, which allowed me to live my dream. As a nutritionist, I gained the knowledge to create nutrition plans that work with the body's natural cycles to facilitate fat loss. As a chef, I was able to cook great-tasting meals that fit into my nutritional requirements. I wrote a carbohydrate rotation plan where starchy carbohydrate intake is staggered over a three-day cycle. I included lean protein sources in every primary meal and emphasized fruit and vegetable intake. Not only did I have the energy to complete my workouts, but I was eating really good food too. This method helped me keep the muscle mass I built while reducing body fat levels. I still ate one cheat meal per week. Circuit: Complete one minute of each exercise then rest for 30 seconds before the next. When all exercises are completed, rest for two minutes and repeat. Complete four total circuits. Circuit: Complete 3 sets of 12 repetitions for each exercise. Rest 20 seconds between sets and one minute between exercises. This routine takes only 25 minutes to complete. Circuit: Complete 15 reps of each exercise. Rest for 20 seconds between exercises and rest for two minutes between circuits. Complete three total circuits of the following exercises. Abs Circuit: Complete the exercises listed below in order. Rest for 10 seconds between each exercise until all are completed. Rest for one minute and then complete the circuit two more times. 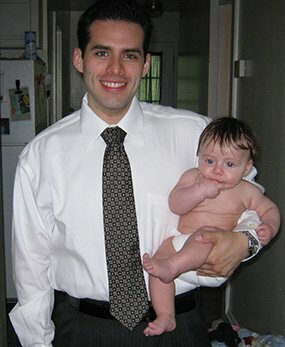 The main challenge for me was to stay on track during family obligations and various social activities. It took effort to stay the course, but I felt confident that if I could lose weight and keep it off, I could help others do the same. I'm very blessed and excited to announce that I wrote a weight loss book due out later this year. I took my weight loss journey and provided a road map for others who are struggling with weight issues to follow. I hope that people will use my experience to help make their weight loss journey easier. I have a Facebook fan page where I post fitness-focused foods and motivational posts. My website has my "30 Day Jumpstart" that contains thoughts to maintain motivation on a weight loss program. I'm honored to have a blog on Lee Labrada's website. I upload recipes that are easy to prepare and burst with flavor. Expect to succeed and success will follow. Know that the journey to live the fitness lifestyle is one less traveled and dedication to make lasting improvements is worth the effort. Believe in yourself and your purpose—we are all at different stages on our fitness journey. Embrace change as it comes and enjoy a life you never thought possible. Reach deep inside yourself, abandon all fear and hesitation, and the details will work themselves out. Focus on the decisions that can help you today, not on past choices that can't be changed. Take each day as it comes and before long you'll be amazed at the results of your hard work. Don't just reach your goals, blast them away. 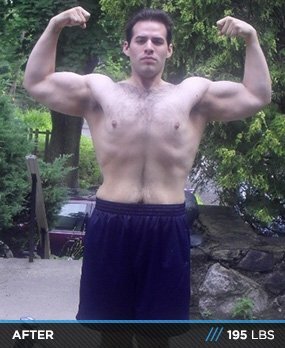 There are many great informative articles and resources on Bodybuilding.com, but the ones I found especially motivating were the transformation stories. Seeing others achieve their potential inspired me to push through the tough parts of my transformation.